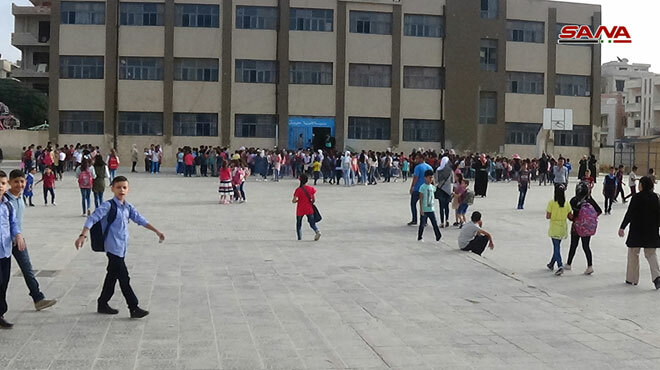 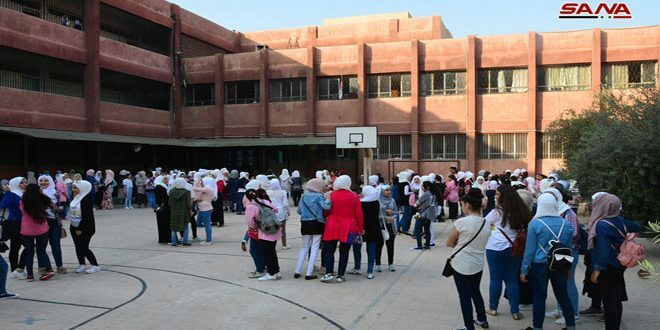 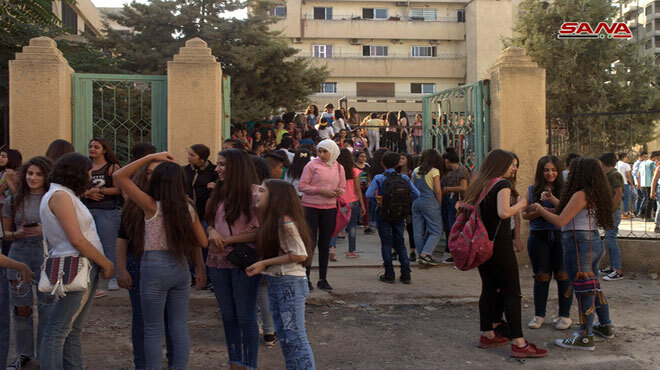 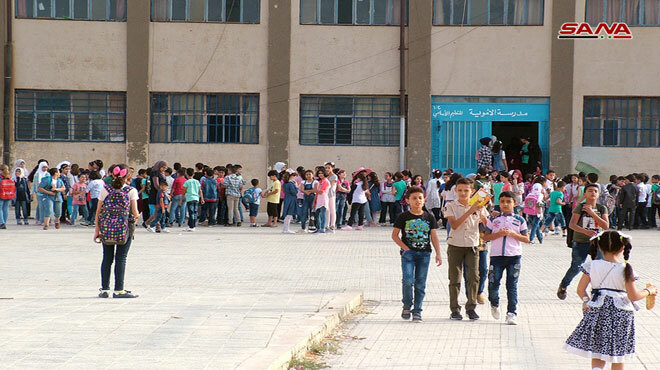 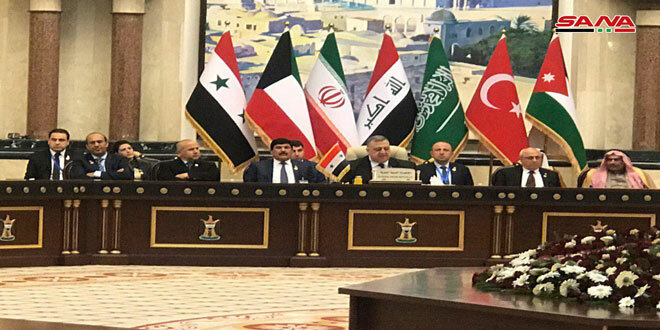 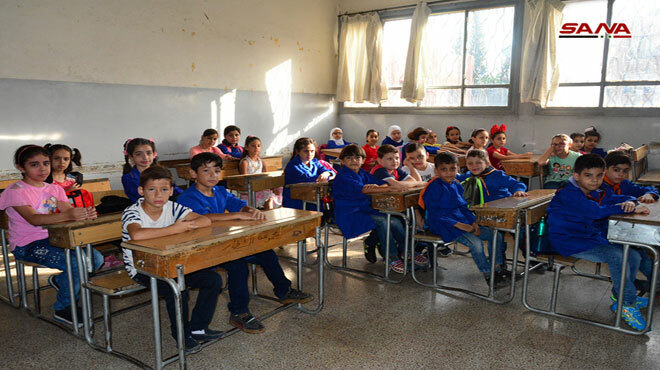 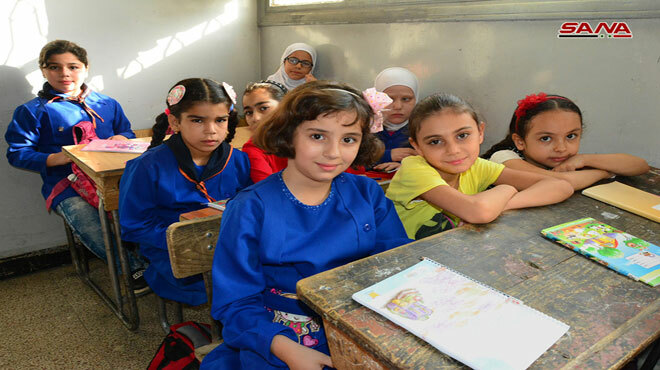 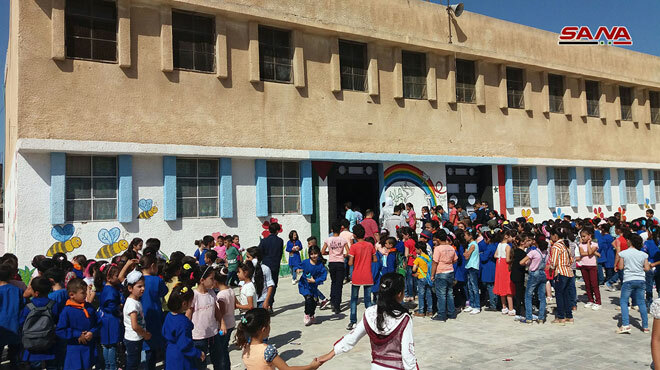 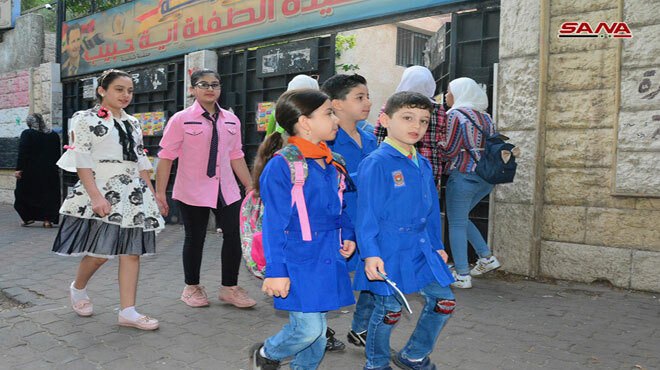 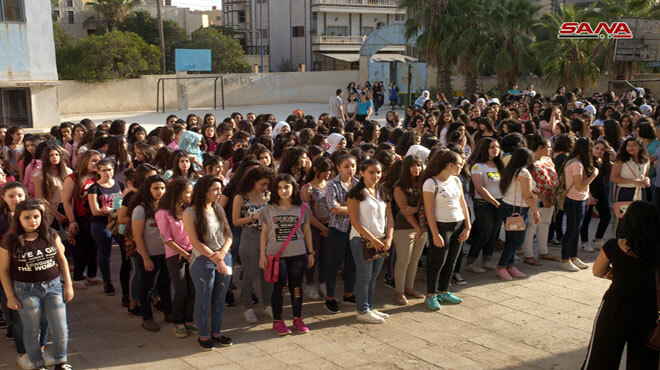 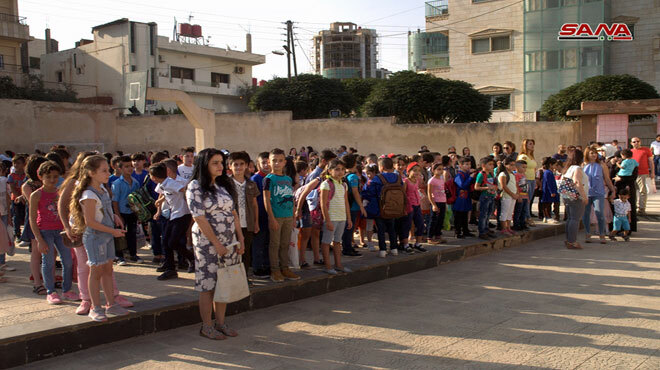 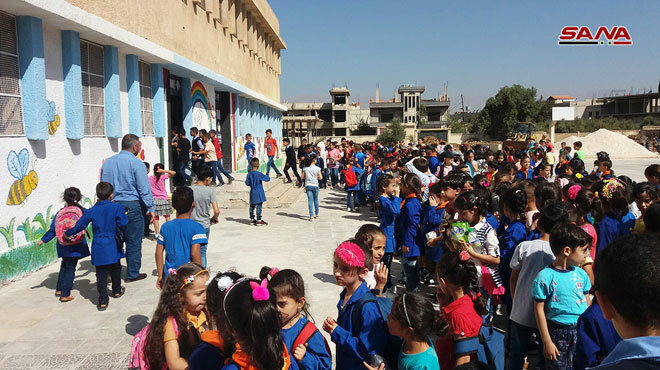 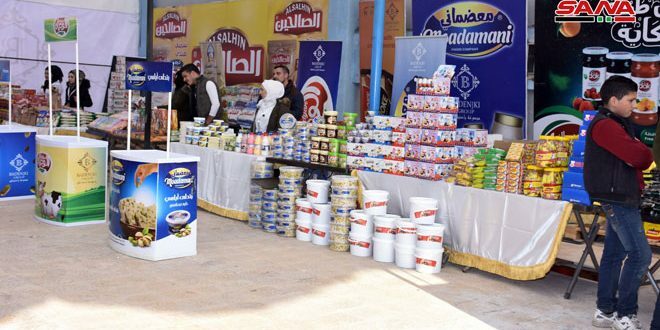 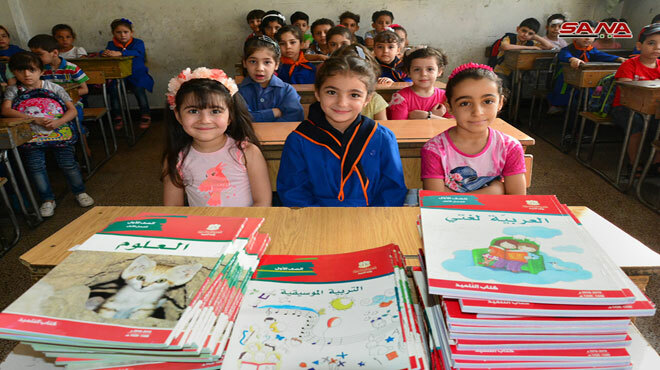 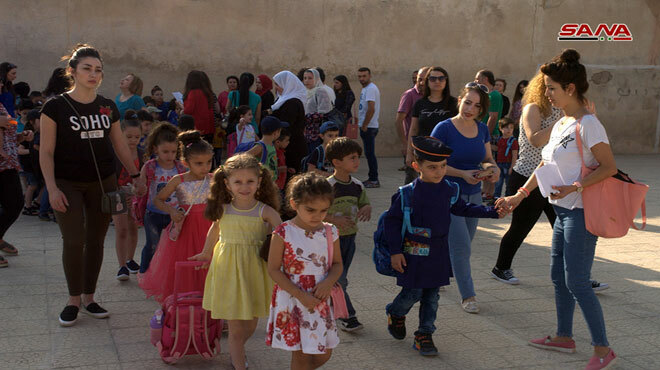 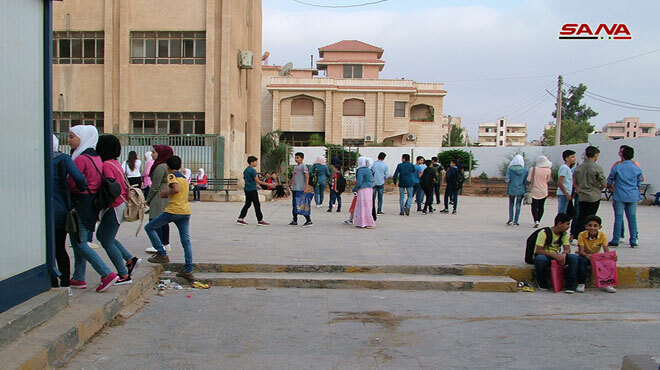 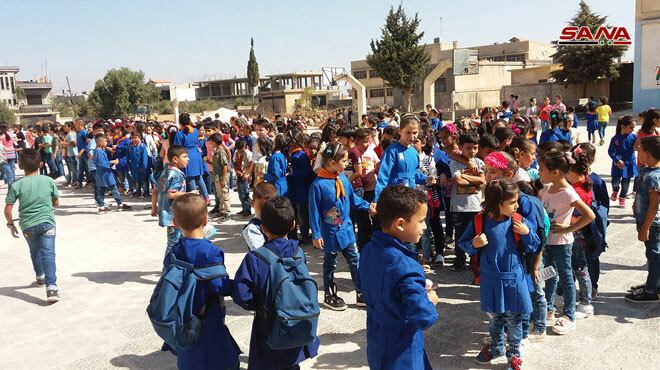 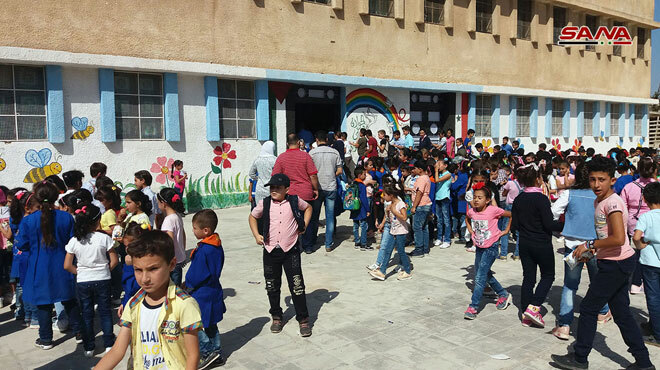 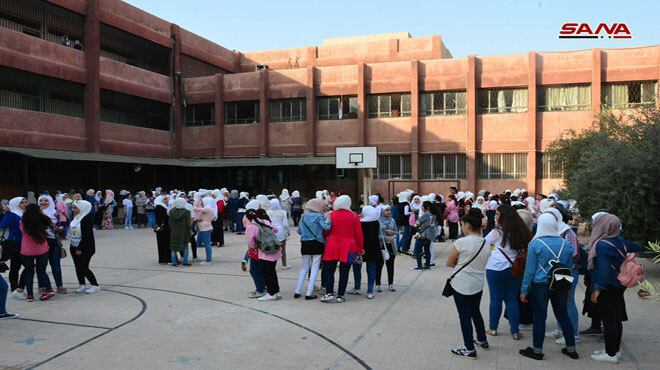 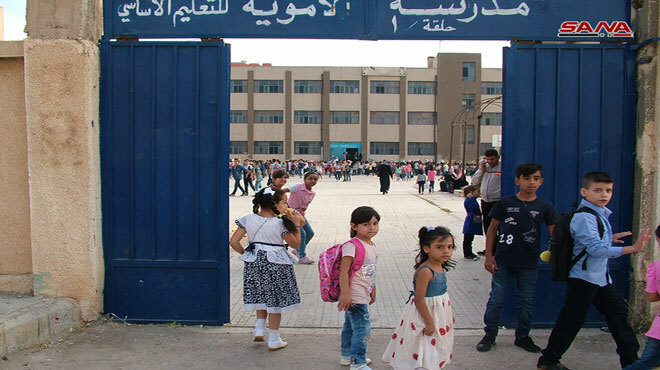 Damascus, SANA- More than four million students on Sunday headed for their schools with the beginning of the schoolyear 2018-2019. 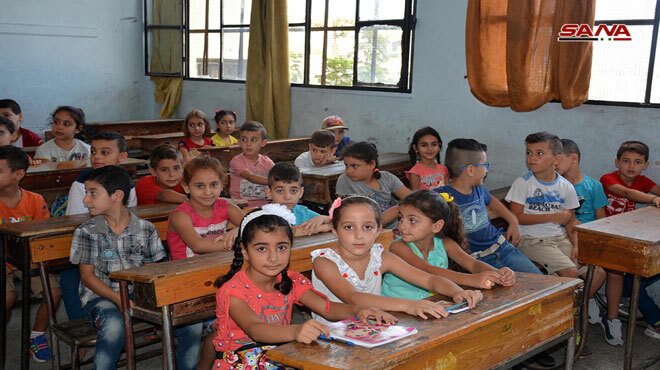 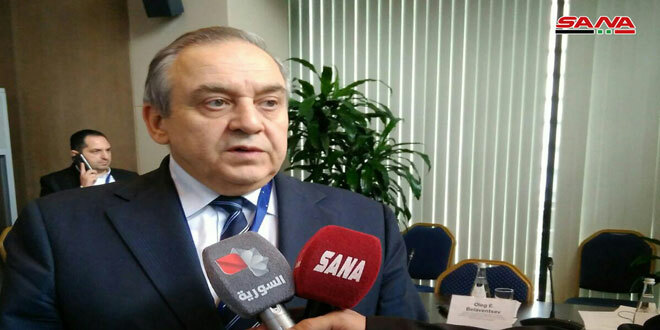 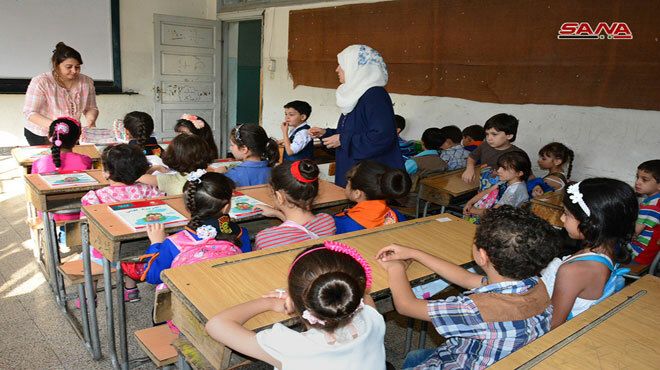 In framework of its preparations for the new schoolyear, Ministry of Education stressed earlier that 14 thousand schools have become ready for receiving students, in addition to preparing the required teaching cadre. 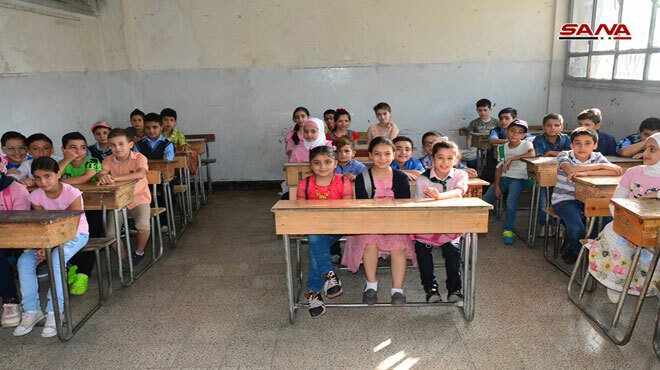 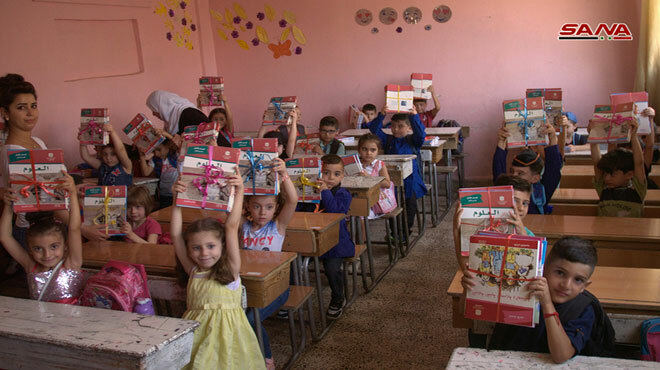 Despite of the large damage which the educational sector has went through over the past few years, yet the process of rehabilitation have been continuous as the number of schools which have been rehabilitated since the beginning of the crisis reached five thousand schools while 785 schools have been rehabilitated since the beginning of the current year.